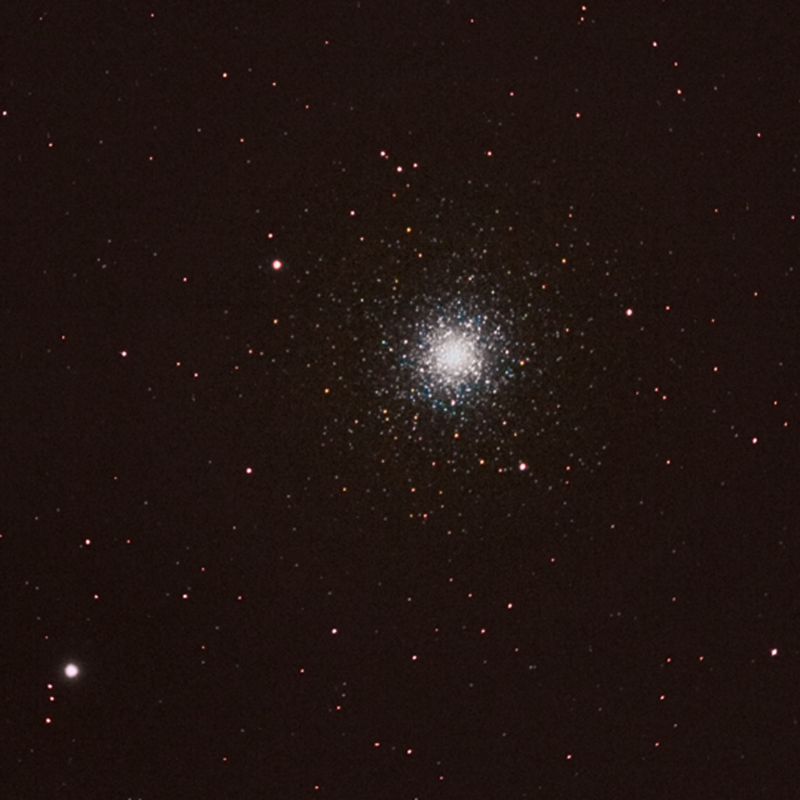 Messier 3 is a very pretty globular star cluster. More or less straight up when I took a series of short subs with my Canon 600D DSLR and 0.8x focal reducer + 127mm refractor. Most clear nights I sneak a look at this misty spot through my big bins.